Brendan asks whether, and how, a games-maker can tackle difficult historical ages in which terrible things happened. In this case, how can you make a game out of colonizing North America and still have respect for the people who lived there first? Have something to say? 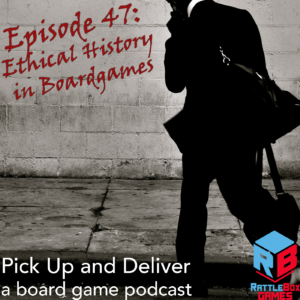 Join the conversation over at Boardgame Geek in our guild, #3269.